Justice Joseph said there were purported signs of influence with regard to 'allocation of cases to different benches. NEW DELHI: The Congress on Monday renewed its attack on PM Modi and former CJI Dipak Misra and reiterated its concerns over the independence of the judiciary as it demanded a probe into the issues arising out of former Supreme Court judge Kurien Joseph's remarks that his ex-boss was being remote controlled. Before it got busy with the Assembly elections in five states, the Congress had been regularly raising the issue of independence of judiciary and even moved a motion for Misra's impeachment before Rajya Sabha chairman Venkaiah Naidu who rejected the Opposition's plea. 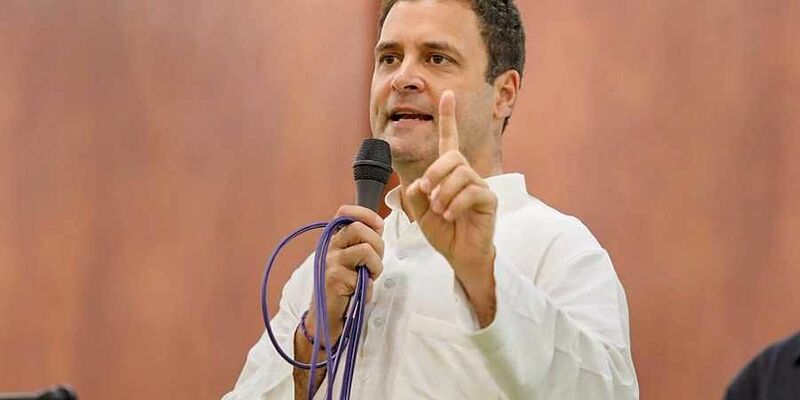 Congress chief Rahul Gandhi had also slammed the Centre citing the public appearance of four senior SC judges, including Joseph, who had expressed concern over Misra's style of functioning. "A retired judge of the SC has clearly said that voice was raised against interference from outside. The country demands answers from the PM and the head of the ruling party as to who was interfering and what was the manner in which it was done," Congress spokesperson Abhishek Manu Singhvi said. "We demand an independent judicial probe into the matter. There could be a separate parliamentary action also," he said. He, however, clarified that the apex court was able to deal with the issue on its own and that it was flagging the issue as a political party. Noting that the party's apprehensions over judicial independence had been proved right, Singhvi asked the government "which were cases where these initiatives were taken by the government and how many times." "We have been highlighting the downgrade of institutions like CIC and Lokpal. Now it turns out that even the SC was not left untouched," said Singhvi, adding "it shows how the government acts and thinks and establishes that there is a lack of commitment towards pillars of nation in the ruling party." He alleged people did not matter in the ruling party's scheme of things. Its election year and those who were remote controlled are trying to raise their ugly head trying to score browny points for opposition. Washing dirty linen in public now is not going to help. Facts will surely come out and history will judge.